Warm and classic, this image will brighten up your loved ones' holiday season! 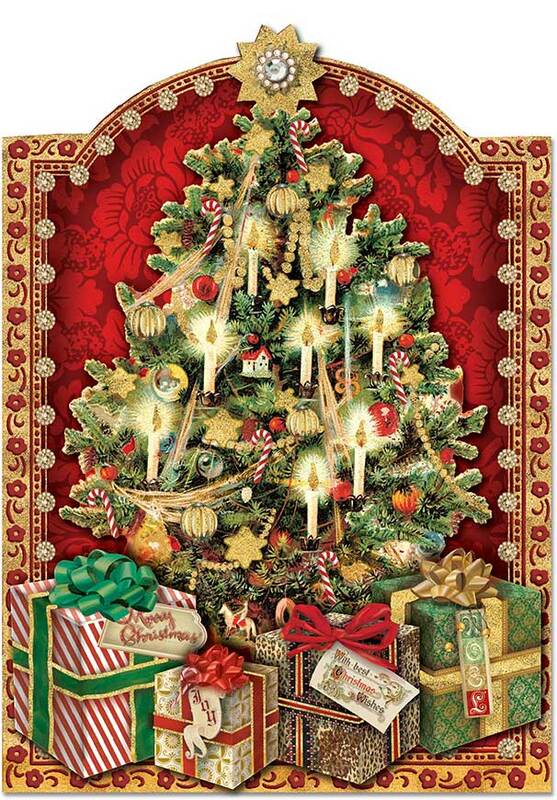 The card features a Christmas tree lit with candles and full of lovely ornaments. Underneath, an assortment of beautifully wrapped gifts await the morning! A gem on the tree's star and plenty of gold glitter add a shimmer and shine.